Talk to a lawyer for Free 24/7 (314) 361-4242 :: We hold truck drivers and trucking companies accountable for their negligence. We’re located Near You! 20+ Years Experience & Thousands of Cases. Commercial truck drivers are limited in the number of hours they can drive before they must rest. They are required to keep an accurate logbook that documents this and many other aspects of each trip. Trucks themselves have weight restrictions, road restrictions, and maintenance requirements. Trucking companies are required to follow federal regulations in hiring, training, scheduling, and maintenance. They must transport cargo safely, including proper containment of hazardous materials (HAZMAT regulations). When these regulations are violated, everyone is at risk and commercial trucking accidents are much more likely to occur. There are an estimated 500,000 truck accidents in the U.S. each year. Nearly 5,000 of these result in fatalities. The remainder often results in injuries of varying degrees. With three major interstates running through the Missouri-Illinois border in St. Louis — I-44, I-64 and I-70 — Missouri and Illinois see more than their fair share of trucking accidents. Unfortunately, many of these accidents are caused by the negligence of truck drivers or trucking companies. 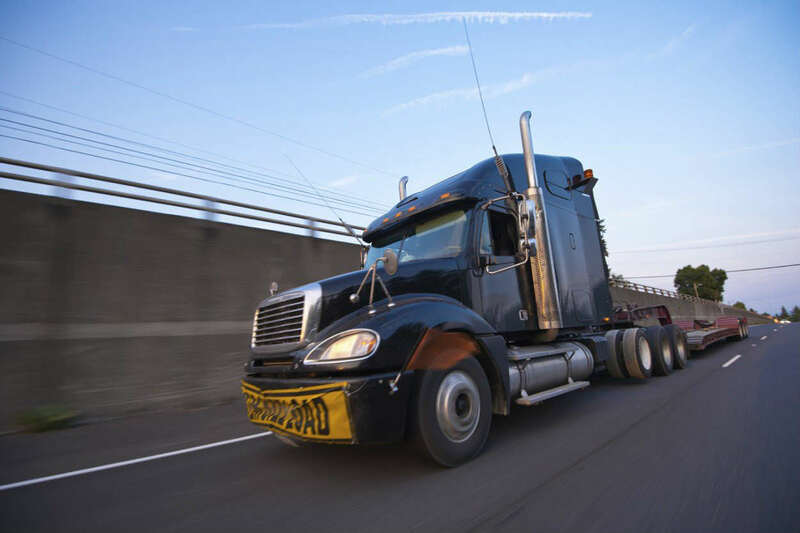 We understand how insurance companies work to limit your recovery after a tractor-trailer accident. Insurance companies will immediately have people on the scene of an accident to gather evidence to limit their liability. The sooner you hire a lawyer to protect your interests, the sooner we can have our investigators working to build your case. Who Was Really Responsible for the Accident? For a more thorough explanation of how some of these parties could be involved in a trucking accident, please see the causes of truck accidents. If you have been involved in a serious truck accident in Missouri, you can call our office 24 hours a day, 7 days a week at (314) 361-4242. We offer a free initial consultation in all personal injury cases and you never pay attorney fees unless we recover compensation for you.